Concerthotels.com recently put up a list that is the end result of thirty seventh century technology which has proven beyond a shadow of a doubt that AXL ROSE has not only the greatest voice of all time, but is also the baddest mother**ker on the planet. Why have I started censoring the curse words now you ask? Because I just remembered my mum and aunty occasionally read this blog and they may now be aware of my readers ignorance in the field of Axl! Axl who? 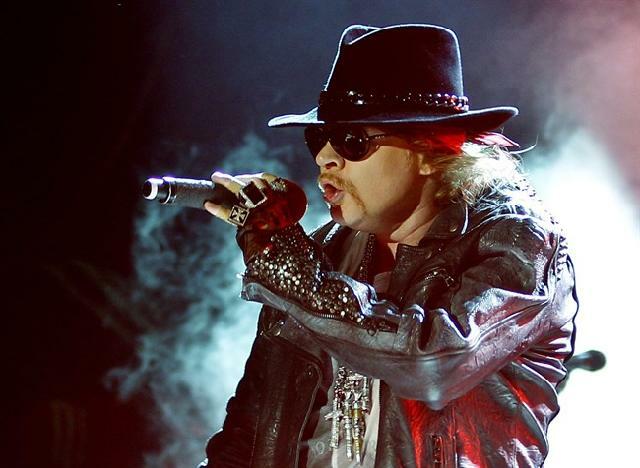 William Axl Rose – scientifically proven greatest singer of all time and most beloved human since Jesus.! This entry was posted on May 20, 2014 at 2:38 pm and is filed under Music, News with tags Axl Rose, greatest singer of all time, Guns N Roses, science, Tickets There. You can follow any responses to this entry through the RSS 2.0 feed. You can leave a response, or trackback from your own site.